There are 2 posts on sleep today. Stephanie wrote about the importance of a sleep routine. I like that she mentions how a sleep routine, which may seem rigid to some people, usually means that you are able to put your baby down almost anywhere for naps and bedtime. That's how my kids have been. Give them a room to sleep in and they'll do it. She talks about how a routine actually gives her a lot of flexibility with things like late evenings at friends' houses, traveling, etc. 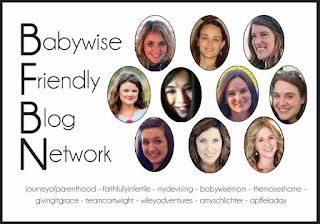 Shea's post is so great for any moms who are new to Babywise. She wrote about protecting the baby's first nap of the day and how, a lot of the time, it influences how the rest of the day goes. She explains how the first nap transforms and changes throughout your baby's first year. 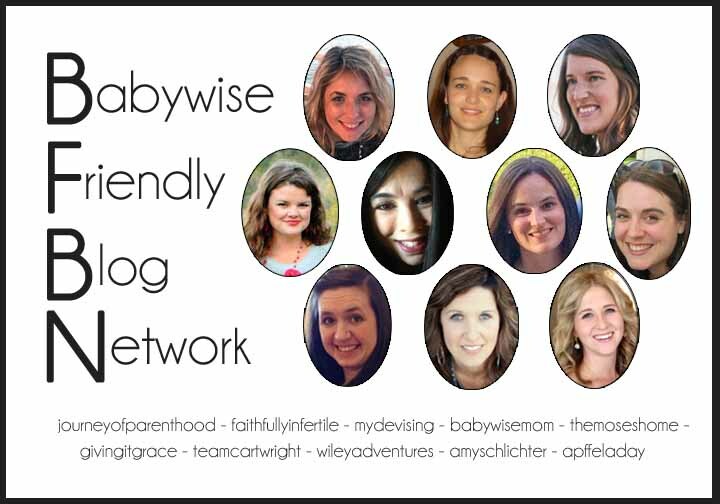 This is a great resource for anyone needing to know what to expect as your baby grows.